“Spring Into Collecting” Exhibit: May 2 - June 21, 2015 (new closing date). 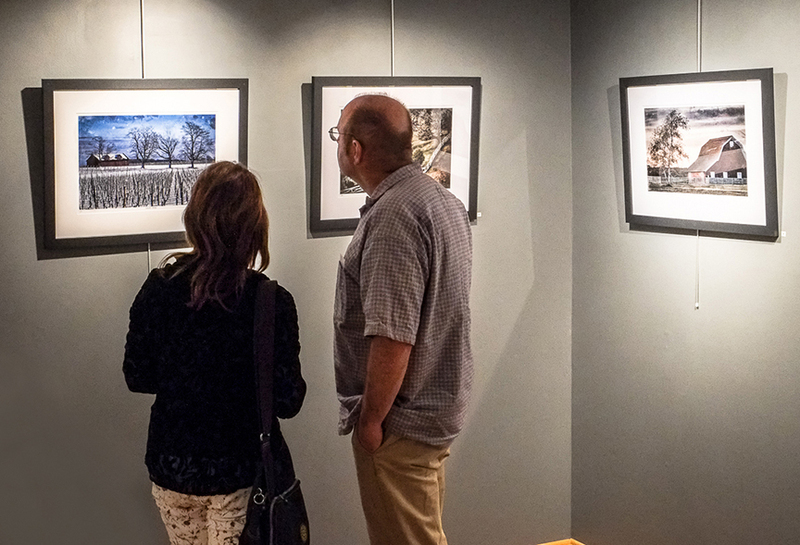 Features an eclectic mix of new black & white and color photographs of varied artistic styles and subject matter from ten regional photographers. Works on aluminum, wood, and a variety of fine art papers are available for the fine art photography admirer and collector for purchase or viewing. 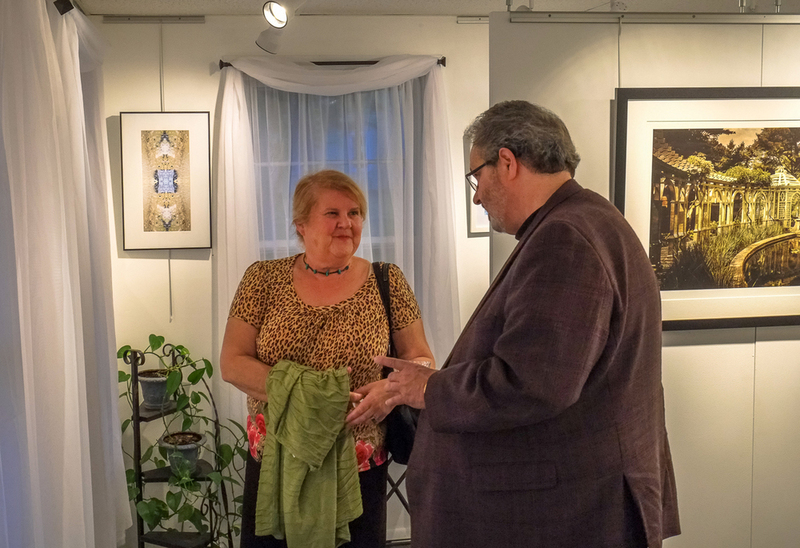 Original framed, matted, limited edition, and unique pieces are on exhibit by Carolyn Conrad, Rich Faron, Scott Farrell, Alex Ferrone, Ray Germann, Nijole Kudirka, Katherine Liepe-Levinson, Harold Naideau, Jim Sabiston, and Steven Schreiber. “Spring Into Collecting” is sponsored by Abatelli Realty & Appraisal Services of Cutchogue. We welcomed our third season of the Gallery with a well-attended Artists' reception for our new exhibit, "Spring into Collecting." We thank everyone who stopped by to meet the artists and see their new works and look forward to your visit again. Thank you to our generous sponsor, Abatelli Realty & Appraisal Services of Cutchogue. Here are some photos from the evening - big thanks to our reception photographer, Jim Sabiston.